Home » Self Defense » Is CCW Insurance Worth It? Is CCW Insurance Worth It? Is CCW insurance worth it should be a question that every new gun owner asks. Learning how to defend yourself properly with a handgun is extremely important to understand. We should take much time to learn it. However, it is equally important, if not more important, to understand how to legally defend yourself should the time ever come. Contrary to popular belief, there are only certain situations and scenarios that allow you to use lethal force when defending yourself. So you should take the time to study that. However, it doesn’t stop there. It is extremely important for new gun owners to understand what happens after you shoot someone in self-defense. As you study how to legally defend yourself after a shooting you will come across many options for CCW insurance. There are many companies out there that provide insurance or reimbursement of legal fees should the unfortunate situation occur. But is CCW insurance worth it? I am of the opinion that every gun owner should have some sort of CCW insurance. In fact, I believe that it should be a requirement just like it is a requirement in the United States to have automobile insurance in order to operate an automobile. Since it isn’t a requirement I will share my reasons why I believe having CCW insurance is important and is definitely worth it. 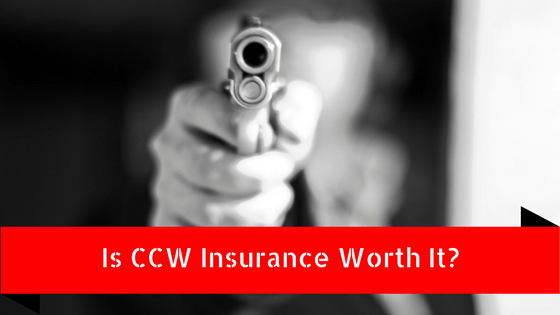 When considering is CCW insurance worth it, you will need to explore the potential reasons that you would need it. You don’t only need CCW insurance in the case of defending yourself. Although that is one of the most important reasons. Another reason to have CCW insurance is in case your handgun is stolen and used in a crime. In many states, you can be persecuted if your gun is stolen and used in a crime. This is unfair because it is almost out of your control. However, you would still need legal representation to dispute the fact in court. After using your handgun to defend yourself from an attacker or robber you could still be sued by the offender or family members in civil court even if you are found guilty. You would think if you are found innocent in criminal court or if no charges are brought then you would be safe from being sued. However, this isn’t the case. There have been many cases where the family of a robber sued a homeowner for killing or causing bodily harm to their family member and have won. Finally, negligent discharge is another unexpected situation where you could be charged criminally and even in civil court. This may be another situation that is out of your hands. Accidents do happen but you should always take precautions to prevent it. Nonetheless, it happens. Again many gun owners have been found guilty of criminal charges that were brought against them especially if a child is involved. If you have ever been to court for anything then you know how expensive the legal system really is. There are fees from everyone including the courts and even your own lawyer. One simple task like faxing a paper could cost hundreds of dollars. Most bail amounts for shootings can be set at $100k or more. Attorney retainer fees for criminal defense can be upwards of $50k. The list goes on. Unfortunately, many of us don’t have thousands of dollars on the side for emergencies like legal fees. Most Americans don’t even have enough emergency food and water set aside. Only 30% of Americans have 3 months worth of expenses set to the side for emergencies. Many CCW insurance companies will either pay legal fees as they come or reimburse you. However, you have to read the fine print because some will only reimburse you only if and when you are acquitted of charges. This is why I like USCCA because they changed their stance on this. They now pay legal fees as they come along. Of course, there is a cap depending on which package you are paying for. Immediately after a situation happens you are put under a spotlight by detectives and the legal system. After shooting someone you need to take the appropriate steps and say the right words so that they are not held against you in the court of law. This is why it is important to have legal representation available immediately after such a situation occurs. You won’t have much time to find the right legal representation that can defend you appropriately. The legal processes happen quickly. The great thing about having CCW insurance is that most companies will be able to provide you with immediate representation in such a situation. Trying to recover from a traumatic experience such as shooting someone and trying to navigate the criminal court system can be extremely stressful. You don’t really want to be spending all of your time trying to find legal representation. It is even more stressful trying to find legal representation who is experienced with self-defense law. This is why you need to have CCW insurance that will take care of this for you. Networks like USCCA have an extensive network of attorneys who are experienced with self-defense law. They can either assign one to your case on your behalf or you can choose one for yourself from their network. When considering is CCW insurance worth, you will need to weigh the stress of navigating the legal system versus the worth of having peace of mind. 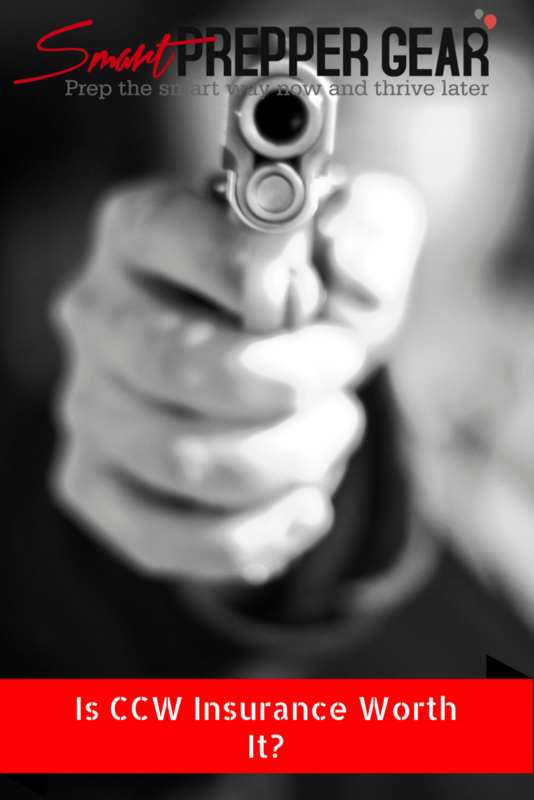 Shooting someone out of self-defense can provoke many emotions including anger and guilt. The situation will continue to run through your mind. You may constantly ask yourself if what you did was right. There are many gun owners who refuse to get CCW insurance because they believe that their homeowner’s insurance will protect them. However, homeowner insurance policies will not cover intentional acts against another person. Furthermore, these policies will only reimburse you once you have been acquitted of the charges. In the meantime, you will be forced to pay out of pocket. So, is CCW insurance worth it? In my opinion, it is definitely worth it. However, you need to find the right provider that will cover you according to your needs. This is why I am a member of USCCA (United States Conceal Carry Association). You can read the USCCA review that I wrote previously that explains everything that they provide. Not only do they cover you legally but also provide free education and training. Finally, they do provide monthly contests to win some firearms which is always a plus for a gun nut like me. Altogether, these are my suggestions on why you need to have CCW insurance. If you have any feedback or suggestions then please leave them below. Your feedback helps the community prepare the smart way now so that we can thrive later when SHTF.